Writer, activist, reformer, traveller, negotiator, peer and general secretary of the TUC. Here’s what you need to know about Walter McLennan Citrine, 1st Baron Citrine of Wembley. Born in 1887, Walter grew up in Liverpool. His mother was a nurse and his father was a ship rigger and Mersey pilot. In 1914, he married Doris, the love of his life, and together they had two sons. After Doris passed away, Walter moved to Brixham in Devon, where he died in 1973. Walter left school aged 12, but that wasn’t the end of his education. Like many of his union peers, he worked hard to improve himself, studying electrical theory, economics and accountancy, and learning Gregg shorthand – a skill that helped him progress quickly as a union official. As a youngster, he also became well versed in the classic socialist texts. Walter was an accomplished writer and authored several books, including two autobiographies. His most well-known work was the ABC of Chairmanship – an essential guide on running meetings and managing committees. Today, Walter’s personal papers – including his diaries from during the war effort – are held at the London School of Economics. Although Walter was a great leader and negotiator, he was best known for his administrative prowess. He became the Electrical Trades Union’s first full-time district secretary in 1914, staying there throughout World War 1 until 1920, when he was elected assistant general secretary. In this role, he transformed the union’s finances and secured their income, earning his reputation for these unusual union skills. Walter was appointed assistant general secretary of the TUC in 1924.When the existing leader, Fred Bramley, suddenly died, Walter became acting general secretary. After the chaos and eventual defeat of the 1926 general strike, Walter was then unanimously confirmed as general secretary and stayed in that position until 1946. Until Walter’s time, the TUC believed that industries should be owned and managed by the workers. Following the general strike and great depression, the TUC adopted a fresh approach of collaboration with employers. Walter is widely credited with providing the TUC with the administrative backbone it needed to transform into the respected lobbying organisation we recognise today. 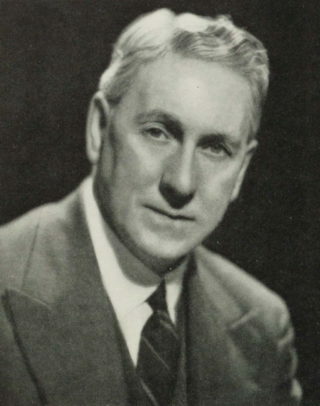 Walter became Sir Walter in 1935 and was then offered a peerage in 1946, when he retired from the TUC to become a member of the National Coal Board for a year. He took his title, Baron Citrine of Wembley, from his many years living with his family in Wembley Park. Walter first visited the Soviet Union in 1925. He returned in 1935, and then again in 1941, this time leading a delegation to strengthen the British-Soviet alliance as Hitler’s armies converged on Moscow. He was there again in 1945 with a TUC delegation, and visited once more in 1956 as chair of the nationalised Electricity Council.